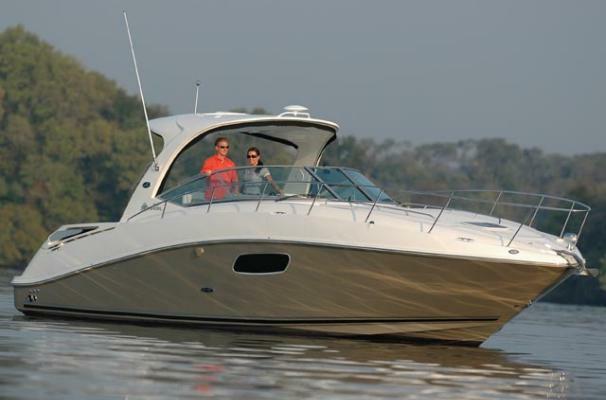 The 350 Sundancer. 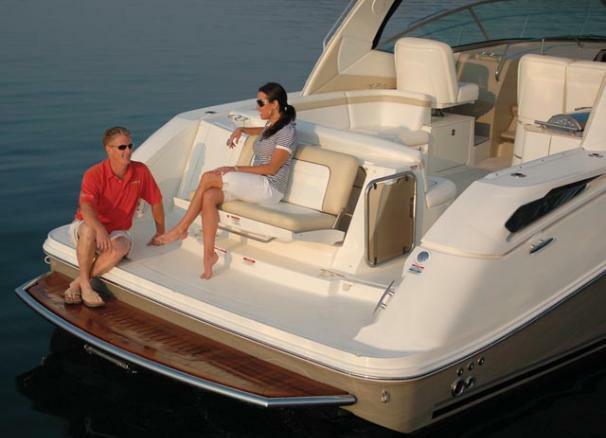 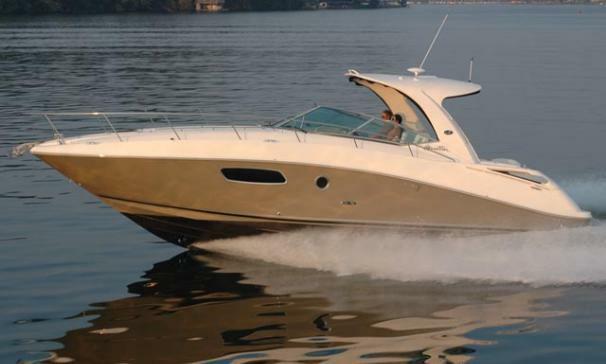 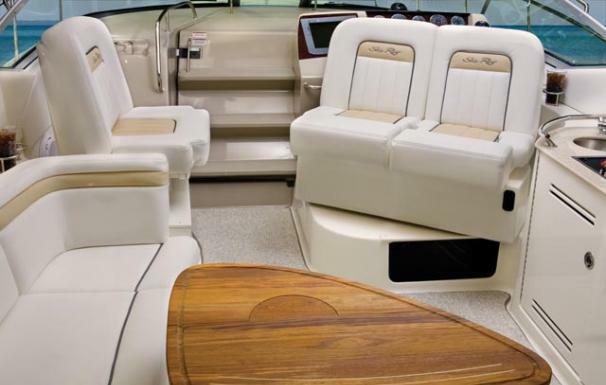 The generous dimensions of this express-style boat make it exceptionally qualified for cruising and entertaining, and an extensive list of sterndrives or inboards, gas or diesel, lets you choose your preferred power. 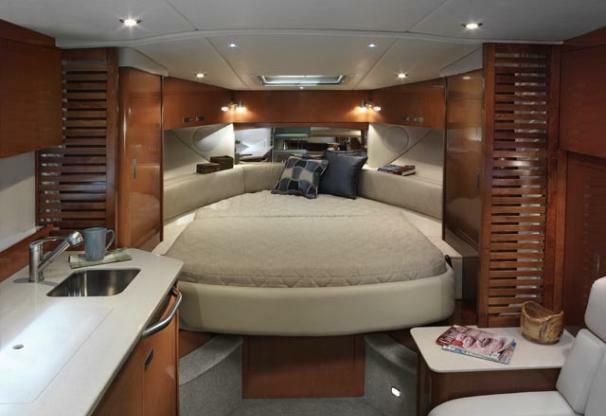 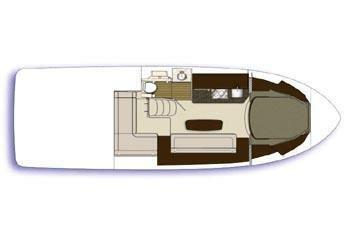 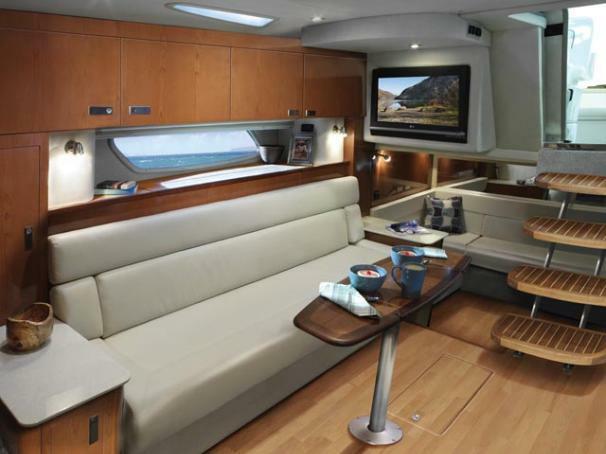 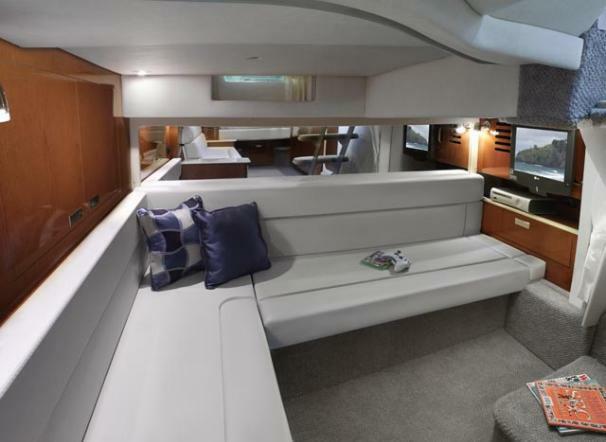 A roomy interior with forward V-berth, big mid-stateroom and convertible salon sofa can sleep six in comfort. 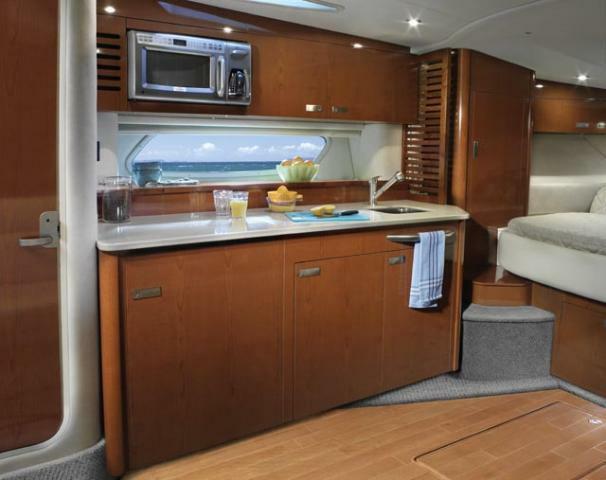 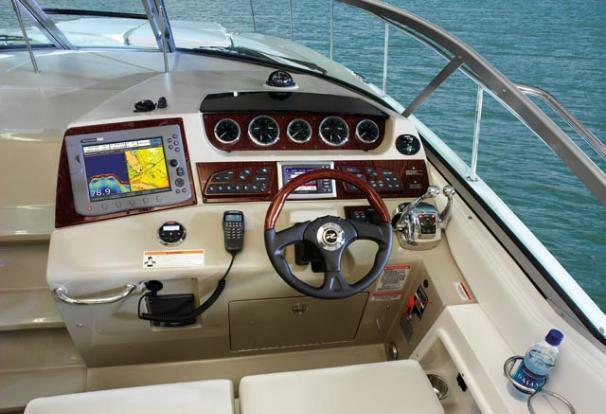 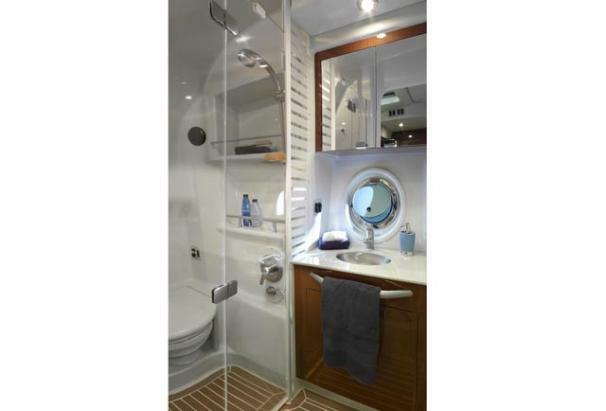 Plus there's a full galley and head, and a 26-inch flatscreen TV with remote DVD player.